Beitr. Algebra Geometrie, 54 (2013), no. , 509-531. ACM Trans. Graphics 31 (2012), Proc. SIGGRAPH. Ceccato, C.; Hesselgren, L.; Pauly, M.; Pottmann, H.; Wallner, J.
ACM Journal on Computing and Cultural Heritage (JOCCH) 2(1), 2009. 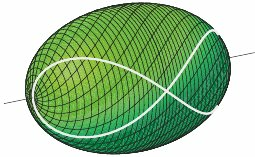 Integral invariants for robust geometry processing. H. Pottmann, J. Wallner, Q. Huang, and Y.-L. Yang. Journal of Computer Aided Geometric Design, 26, 425-443 (2009). On Generalized LN-Surfaces in 4-Space. M. Peternell and B. Odehnal. 4-Points Congruent Sets for Robust Pairwise Surface Registration. D. Aiger, N.J.Mitra, and D. Cohen-Or. M. Kilian, S. Föry, Z. Chen, N. J. Mitra, A. Sheffer and H. Pottmann. Infinitesimally flexible meshes and discrete minimal surfaces. Comput. Aided Geom. Design (2008). The focal geometry of circular and conical meshes. Bentley Institute Press (2007), 724 pages, 2200 figures in color, ISBN 978-1-934493-04-5. The Mathematics of Surfaces XII(2007). Symposium on Geometry Processing 2007. Voronoi diagrams for oriented spheres. In Proc. ISVD'07: 4th Int. Conf. Voronoi Diagrams in Science and Engineering.IEEE Computer Society, 2007. Discrete surfaces for architectural design. In P. Chenin, T. Lyche and L. L. Schumaker, editors, Curves and Surface Design: Avignon 2006. Geometric modeling with conical meshes and developable surfaces. Fair polyline networks for constrained smoothing of digital terrain elevation data. Computer-Aided Design Appl. 2 (2005), 459-468.